We here at Gopher State Fire Equipment Company are proud of our excellent history of reliable and timely service work in the fire industry. Our goal is simple: to provide fast, professional service at competitive prices. Whether you are starting a new business or just need an inspection, we want to be the fire service company you call first. No job is too large or too small for Gopher State Fire Equipment Company. Our highly skilled service team will assess your needs and discuss your options with you. Our Vision - is to provide outstanding fire protection. 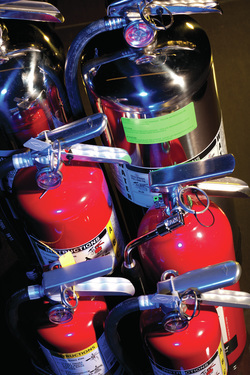 Our Mission - is to protect people and businesses by providing the highest quality fire protection. Whether you are starting a new business or just need an inspection, we want to be the fire service company you call first. ​No job is too large or too small for Gopher State Fire Equipment Company. ​Our on-going industry training and continuing education allows us to keep abreast of new fire safety methods and techniques, as well as utilize the latest innovations in technology being used throughout the fire protection industry. Whether you are starting a new business or just need an inspection, we want to be the fire service company you call first!